Sherlock Holmes as you’ve never seem him – or is it her? – before, as the Great Detective travels through time and across continents to master a set of three new mysteries. Winter, and the Soggiorno Brothers’ Traveling Wonder Show has pulled into its berth in Peru, Indiana. Sanford “Crash” Haus, proprietor and genius, and his friend, the retired soldier-turned-surgeon Jim “Dandy” Walker, are looking forward to a quiet few months. By happy coincidence, just as the Strong Man and the Tattooed Lady announce their betrothal, the Wonder Show’s old manager Professor Sylvestri – a minister, no less - rolls into town with his ward in tow. 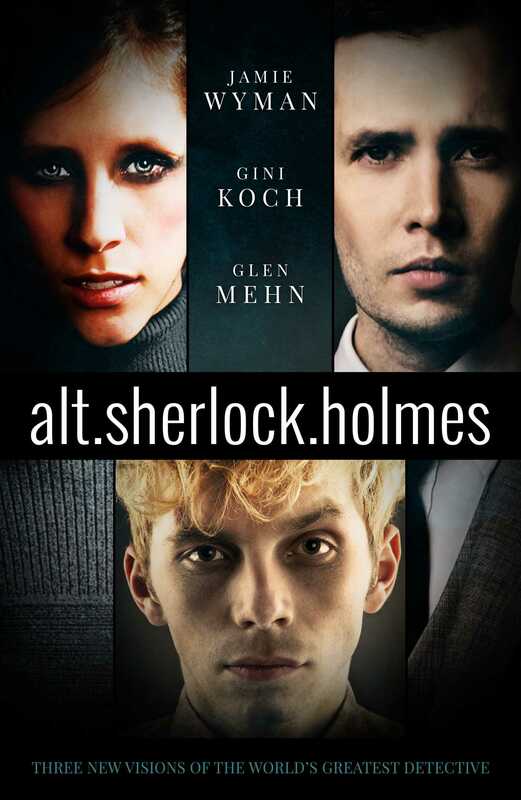 Although she’s best known for science fiction, paranormal, horror, and fantasy, Gini Koch’s (ginikoch.com) first literary love is mystery and suspense, and her first literary crush, at the tender age of 7, was on Sherlock Holmes. Gini writes the fast, fresh and funny Alien/Katherine “Kitty” Katt series for DAW Books, the Necropolis Enforcement Files series, and the Martian Alliance Chronicles series for Musa Publishing, and as G. J. Koch she writes the Alexander Outland series. Gini’s made the most of multiple personality disorder by writing under a variety of other pen names as well, including Anita Ensal, Jemma Chase, A. E. Stanton, and J. C. Koch. Her dark secret is that pretty much everything she writes has a mystery in it—because mysteries are the spice of literary life.